Peru has been one of the finest tourist spots that keeps getting tourists to see her on a yearly basis. Apart from the food and the climatic atmosphere that is accommodating for all types of tourist, there is another path of the people’s culture that will always keep tourists fascinated, which is Peruvian music. Interestingly, there are various features that can be used to distinguish the style of music coming from Peru to other music forms which you may be used to in the course of your tour around Southern American soil. Majority of the music styles that come from the equatorial part of America have different distinctive practices which can be used to identify them. 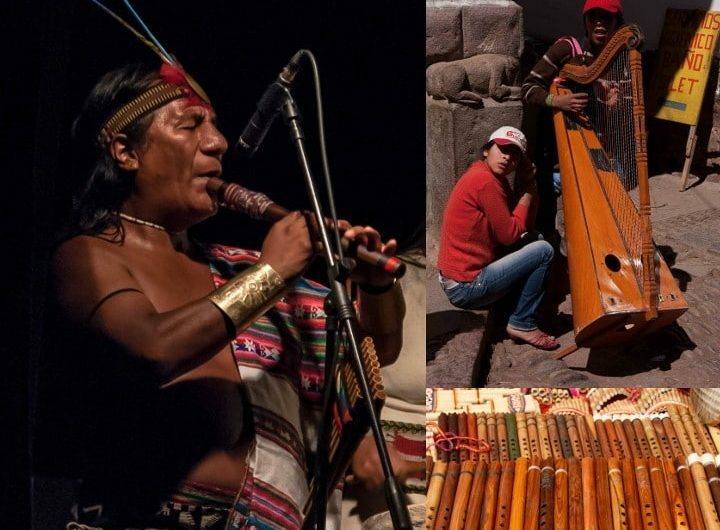 On this account, some of the styles of music which tourists can enjoy from their visit to Peru are discussed below. This is a complicated brand of music you will find in Peru being in places that have a strong African tradition and origin. The reason why music in Peru has a strong connection with African can be attributed to the activities of the Trans-Atlantic slave trade which facilitated the introduction and emergence of Africa dynamic notation into the characteristic nature of the people’s style of music. Interestingly, it is important to note that this style contains other forms of sounds which make the production of this music genre unique. They are the Electronica and Latin America rhythms. You don’t have to be surprised by the popularity of this music genre, because the people love to sing it. No one is left out whenever they are taken by the rhythmic representation of this music which can be found on the lips of every Peruvian inhabitant. Interestingly, you can find boys, girls, young adults and old folks singing and agreeing to the melodious style of this music. Moreover, this music has a strong influence from Spanish origin, considering the fact that Spanish is the official language being spoken in Peru. This style of music emerged in the twentieth century. Much of its acceptance can be attributed to the emergence of electronic music which ushered in its widely accepted use among the people of Peru. A good number of people have a good understanding of this music style based on the fact there are electronic influences which have promoted it to gain international recognition through Dengue Dengue Dengue, Animal Chuki, and Alqsbs. Apart from the fact that this music style is supported by electronic strings, the people cannot fail to dance to its tune when played in restaurants of social gatherings which is a typical tradition of the people’s affiliation for music. If you are not familiar with the forms of music that are discussed above, you should be able to come to terms with Salsa. This is a music style that is common amongst Latin American countries. Moreover, people are far excited by the fact that this music is easy to dance to, bearing in mind its affiliation with Spanish culture. Moreover, the tune of the music is so intricate that you can easily vibe to its rhythms at different succession. You will be amazed at how Peruvians have been able to infuse traditional folklore music together with an electronic guitar to create a music blend, which has an addition of rock music. Much of rock music influence is not played out too long in this music genre, but you can expect to see the reflection of the people in this style of music. Another important music element that makes this music style rich in native flavor is the Peruvian Andes Huayno. This music genre is of Caribbean origin, especially around the coast of Colombia. However, the music has been widely accepted in Peru, which has appeared to look like the music founded by Peruvian natives. Interestingly, Cumbia gave rise to the emergence of Chicha, owing to the introduction of classical folklore music together with electronic string instruments to produce a remarkable music flavor. You should be prepared to have a feel of the music style of American descent which has influenced the music culture of the Peruvian people. Therefore, it is not hard to find this style of music still alive in most bars and restaurants. You can expect to see a live band playing this style of music, because of the people’s love for it. As you tour Peru, you will expect to see several live bands playing this music to entertain the audience. As you are on course to enjoy the vacation in Peru, you can expect to have exciting activities come to play in the area of the native music, which has been heavily influenced by other cultures both within and outside Peru. Africa, America, and Colombia have been known to have influenced the type of music that are produced by the local people. Moreover, the string instruments and percussion used in a live band can be soothing to the hearing of tourists, because every aspect of the people’s music is played with aptness, as a demonstration of the people’s dedication to producing good music. As you prepare for your vacation in Peru, expect to be greeted by people’s music and the people’s hospitality to receiving tourists from around the world.